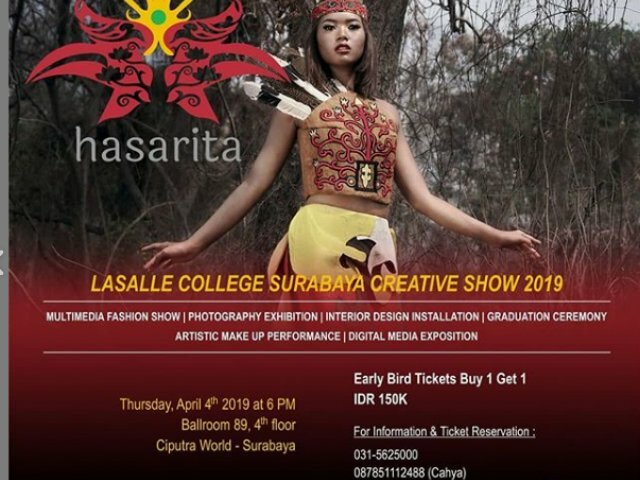 Lasalle College Surabaya’s here to present OUR BIGGEST ANNUAL EVENT OF FASHION SHOW. This year called HASARITA. It will express the relationship of Human with God, God with Human and Human with Nature, through the beauty of the fashion design.